Preheat the oven to 350°F. Mash the bananas in a large mixing bowl, and mix in the butter using a large wooden spoon. Stir in the sugar, egg, espresso and vanilla until fully mixed. Sprinkle the baking soda and salt over the mixture and mix in. Add the flour, stirring until it is just incorporated. Fold in the chopped walnuts and chocolate chips. Pour mixture into a prepared muffin tin. Bake for 25-30 minutes, checking for doneness with a toothpick or cake tester inserted in the center of a muffin. Cool entirely on a wire rack. 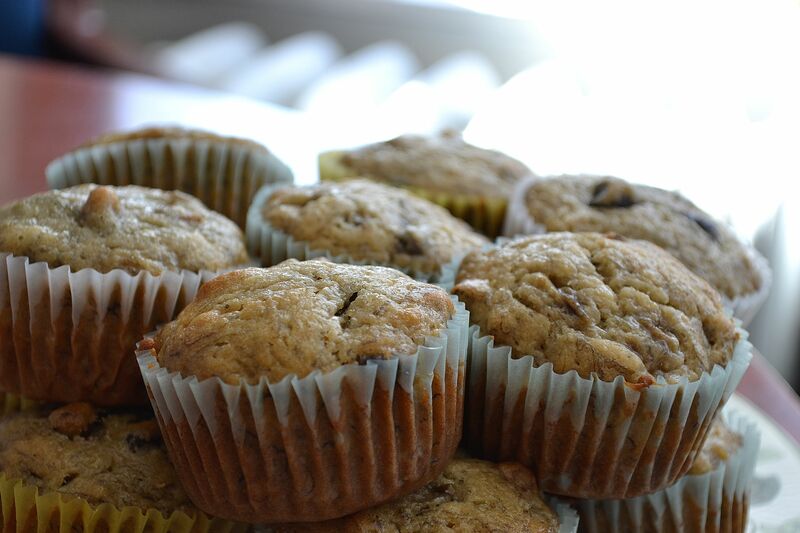 Read more about these muffins and my musical pairing by clicking HERE.